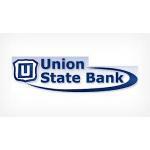 Union State Bank of West Salem is a community-owned bank whose mission is to provide our community with quality financial services to meet present and future personal, family and business needs. We will provide a fair return to our customers and stockholders and will be an active and stable participant in the community to ensure its continued vitality and growth. Our directors, officers and staff are proud to help you, your family and business with all of your financial needs. All of our directors and officers live and work in our area and are active with communities we serve.